- Effect of Dietary Starch,Fat, and Bicarbonate Contenton Exercise responses and Serum CreatineKinase Activity in Equine. Recurrent Exertional Rhabdomyolysis. Rice oil is the ingredient extracted from rice bran and germ. 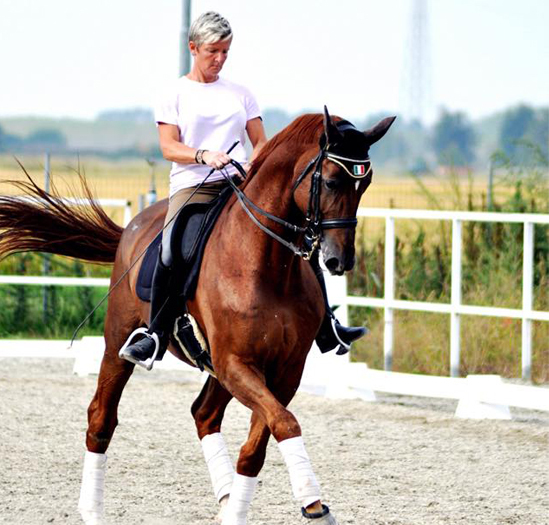 “On the advice of our veterinary, Nicola de Besi, it’s two years since we’ve been administering Riso Sprint every day to all our athletes trained in dressage, show jumping and eventing. The benefits found in terms of better assimilation, improvements in coat shine and, at equal training, a great difference in the athletic condition have confirmed us the needful use of Riso Sprint. 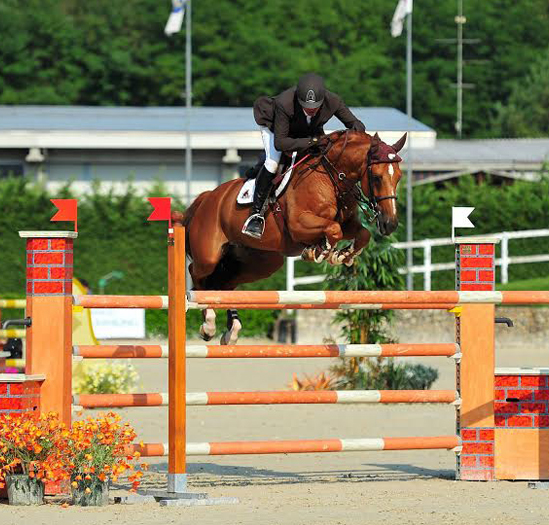 “Based on the requirements of our horses, we use up to 350-400g/day of Riso Sprint. Currently 7 of the horses in our stable are fed every day with Riso Sprint feed, with excellent results in body weight recovery related for example to oldness and injuries. Also to be considered the positive effects such as a general improvement in body condition in horses affected by crib-biting, gastric problems and ulcers. Riso Sprint represents an important feeding habit and, through it’s excellent components, an appropriate feed for both sporting and maintenance horses”. 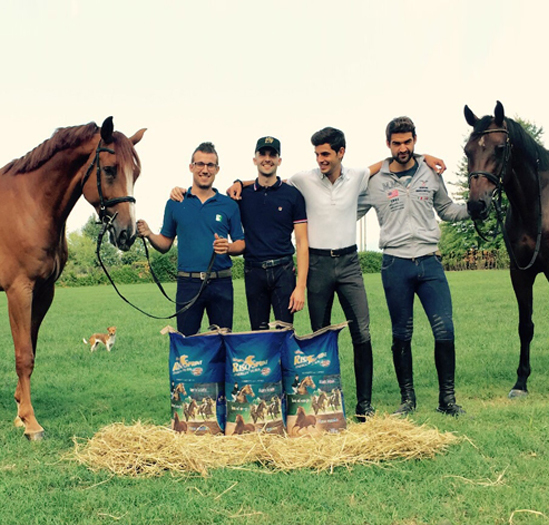 “Feeding up to 1 kg per day of Riso Sprint to our 12 horses, we noticed a general improvement in body condition and a shiner coat, also a great recovery in underweight horses and a better atheltic performance during competitions. “To my horses kept at maintenance I give up to 500g per day of Riso Sprint, however to achieve better results I administer up to 1kg of product and in some circumstances also 1,5kg. Both coat and skin of the horses are wonderful, muscles result perfectly in tone (with a perfect top line) with a significant increase and highlight of muscle mass, all fundamental elements for my discipline. 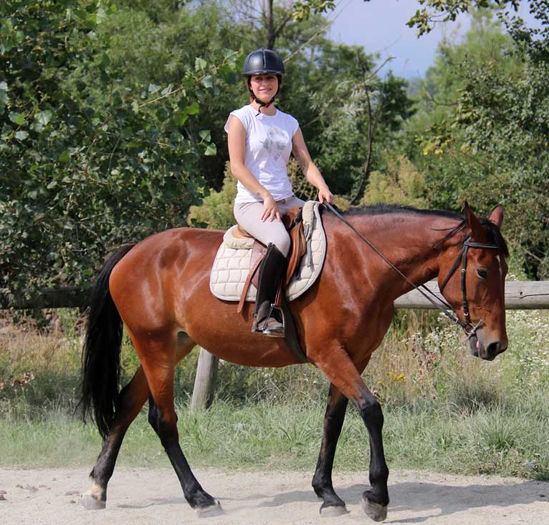 The horses look beautiful, with a good condition and with no feet problems. “I use up to 500g per day of Riso Sprint to all the horses in my stable according to breeding, weight and athletic work. I noticed a good body condition of the animals and a shiner coat, the horses result in shape and with a good stamina during athletic work, without any exuberances. I have observed positive effects also on my anglo arabian horse with which I have undertaken some endurance races. Furthermore adding Riso Sprint to the horses’ diets has allowed me to lower the use of pelletted feed normally used in my stable”. 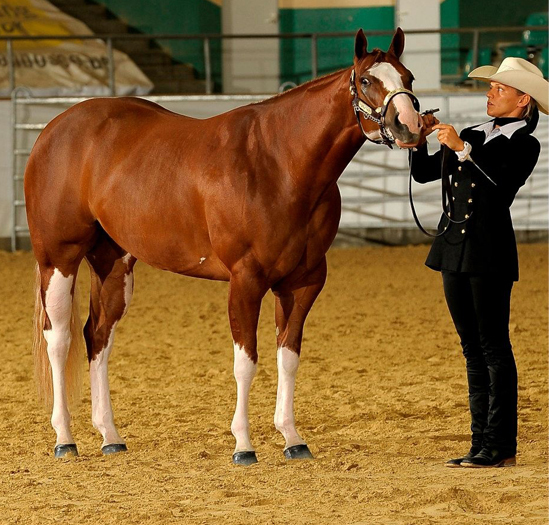 “Using Riso Sprint product, a highly palatable feed also during competitions, our endurance horses have gained a better look in muscle condition and coat shine, maintaining an even-tempered attitude both during training and competition”. Also at the Gospodin stable the riders are carrying out a trial that, through blood samples, aims at the evaluation of the effects of Riso Sprint on the horses’ metabolic system. 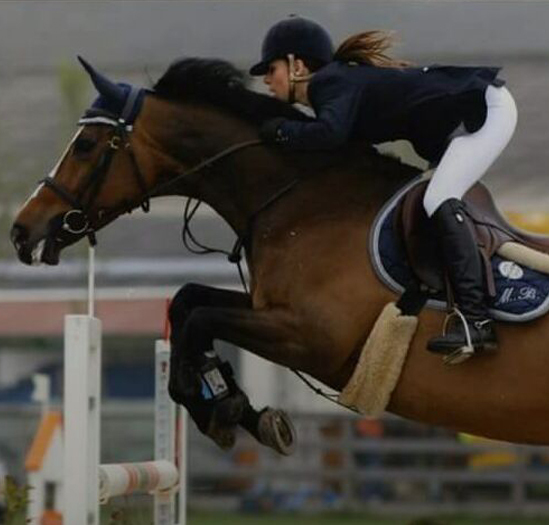 The results will be published and object of the MSc theses of the rider Manuela Doronzo.